“Through many research studies and his pioneering work at the University of Massachusetts where he is founder of its world renowned Stress Reduction Clinic, Jon Kabat-Zinn has served as a recognized bridge between science and meditation. Mindfulness for Beginners is designed to introduce new students to the proven benefits of mindfulness practice, including: stress reduction, alleviation of depression, chronic pain relief, and more. 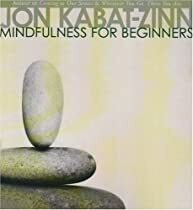 On CD 1, Kabat-Zinn presents “Mindfulness 101″—an accessible, comprehensive tutorial that addresses the basics of mindfulness meditation and explores the spacious, luminous, and mysterious qualities of awareness itself. CD 2 guides listeners through a series of five meditations meant to be used at home, at work, or while travelling. I really enjoyed those. I barely spotted any of the differences. I got the bear to suit of armor and the rolling pen to candles stick in the 2nd one, but missed the others. They were all brilliant and made a good point. I will do a better job of looking out for bikers. 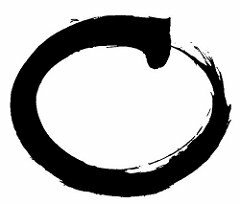 It is beautiful .It does create in us an awareness on what mindfulness is. Enjoyed them thoroughly. 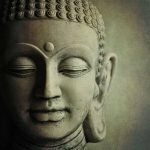 I will make my attempts to improve my mindfulness. Thanks. If it’s possible to not see a bear walking past in plain sight, what else do we miss?